Designed to study the problems of hypersonic flight, the North American X-15, carrying only 90 seconds worth of fuel could reach Mach 5+ and altitudes between 100K and 300K feet. The North American X-15 was a rocket-powered, missile-shaped manned aircraft operated by the U.S. Air Force and NASA as part of the X-plane series of experimental aircraft. 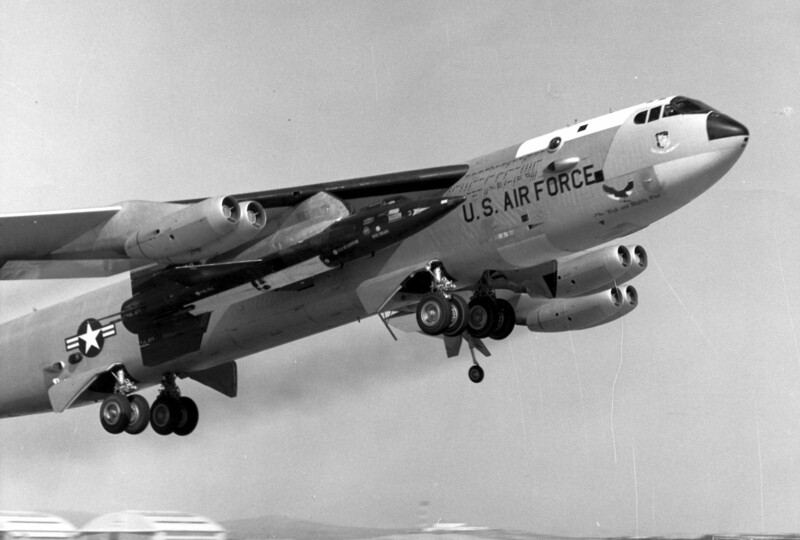 Brought to the launch altitude of 45,000 feet under the wing of a B-52 bomber and dropped at a speed of Mach 0.8, the X-15 was capable to reach the edge of space at an altitude between 100,000 and 300,000 feet at speed exceeding 4,500 MPH (+7,270 km/h) . The U.S. Air Force pilots who flew the X-15 to altitudes above 50 miles all received Astronaut Wings, but NASA decided not to give the same award to the civilian pilots who made the same achievement, a decision that caused controversy within the aerospace community as explained by John Anderson and Richard Passman in their book X-15 The World’s Fastest Rocket Plane and the Pilots who Ushered in the Space Age. Among those pilots there was Joe Walker, who flew the maximum altitude flight in the X-15 on Aug. 22, 1963. The flight path of that mission was carefully planned with climb angles and fuel cut off calculated to reach the goal. In fact as told by Anderson and Passman, the engine thrust could vary from 57,000 pounds to 60,000 pounds, and a difference of 1,500 pounds would result in a 7,500 feet altitude change. One second in fuel cut off time would result in a 4,000 feet altitude change, while if the climb angle was off by one degree, a 7,500 feet change in altitude would occur. Moreover NASA planned maximum altitude for X-15 flights was at 360,000 feet safety reasons: even if the aircraft could go well above 400,000 feet there was concern about the reentry from that altitude. Since aircraft experienced APU problems the flight was delayed for two weeks, but on Aug. 22 the launch went well and Walker could closely follow the flight plan. The propellants were depleted at 176,000 feet at a speed of 5,600 feet per second, but two minutes after the burnout the X-15 was still soaring upward on a ballistic trajectory to 354,200 feet, 67 miles high. Then, after reaching the peak altitude, Walker began descending and headed to Edwards Air Force Base, where he landed after a flight of 11 minutes and 8 seconds. Even if Walker flew higher than the 50 miles required by the Astronaut Wings at that time, he didn’t receive the award. In the 1960s the U.S. Air Force set a limit of space at 50 miles (80 km) but according to FAI (the World Air Sports Federation, the world governing body for air sports, aeronautics and astronautics world records) the limit of the outer space is at 100 kilometers (62.1 mi). Nevertheless, Walker exceeded both limits and, even though he didn’t receive the Astronaut Badge, he was the first American civilian to make any spaceflightand the second civilian overall, and the first human to make multiple spaceflights (the one on Aug. 22 and the preceding one, on Jul. 19, when he reached the altitude of 65.8 miles (105.9 km). After his involvement on the X-15 program, Walker continued its flying activity as an experimental pilot. On Jun. 8, 1966, he was at the controls of an F-104 flying in formation with another North American product, the XB-70, for a General Electric photo shoot of a family of airplanes powered by GE engines. Flying too close to the XB-70, Walker’s F-104 was caught in the trailing vortex of the large airplane and flipped onto the top of the bomber. Walker perished in the subsequent fireball depicted by some famous pictures. As recalled by Anderson and Passman, on Aug. 23 2005, NASA reversed his policy and awarded with Astronaut Wings the three civilian pilots who flew the X-15 above 50 miles: William Dana (the only one still alive at the time of the ceremony), Jeff McKay and Joe Walker. Finally Walker achieved official astronaut rating, 42 years after his record and 39 years after he died.